In a small bowl, combine the tomatoes and a healthy pinch of salt. Toss well to coat. Add the freshly ground pepper, EVOO, lemon zest, lemon juice and rice wine vinegar. Toss to combine. Let stand for 10 minutes, stirring occasionally, until tomatoes begin to macerate and release their juice. In Recipes-list.com we have selected the most viewed recipes from category - uncategorized . Enjoy the best recipes specially selected for you! 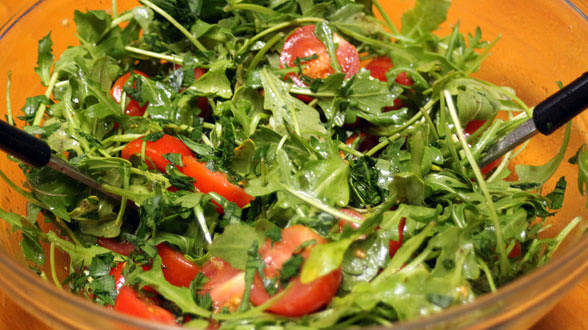 Arugula and Tomato Salad is the right choice that will satisfy all your claims.